← Do You Want to Dance? 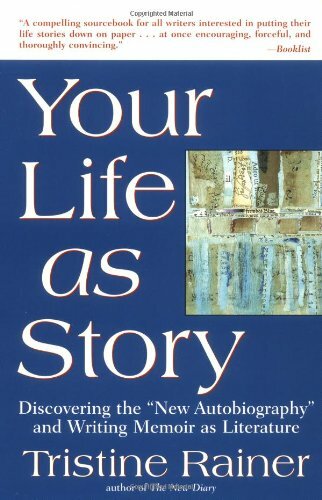 My Amazon order history tells me I bought Your Life as Story: Discovering the “New Autobiography” and Writing Memoir as Literature by Tristine Rainer in 2004. That makes it about the oldest book in my “write your memoir” library, and I’d say it’s the most well-thumbed, sticky-noted, annotated book in that library as well. It is one of the most complete sourcebooks for writing about a life–in a way that meets the standards of literature–that I have come across. I remember how daunted I felt when I first read it–an experience akin to being a first grader in a one-room school, listening in on the sixth-graders’ lessons. More than half went over my head, but the less-than-half that stuck was helpful. I just kept working with an exercise or two from Rainer’s pages, then reading the book again, then working with another exercise or two, until I began to feel I understood what she was getting at and could not only apply it in my own writing, but teach it to others. 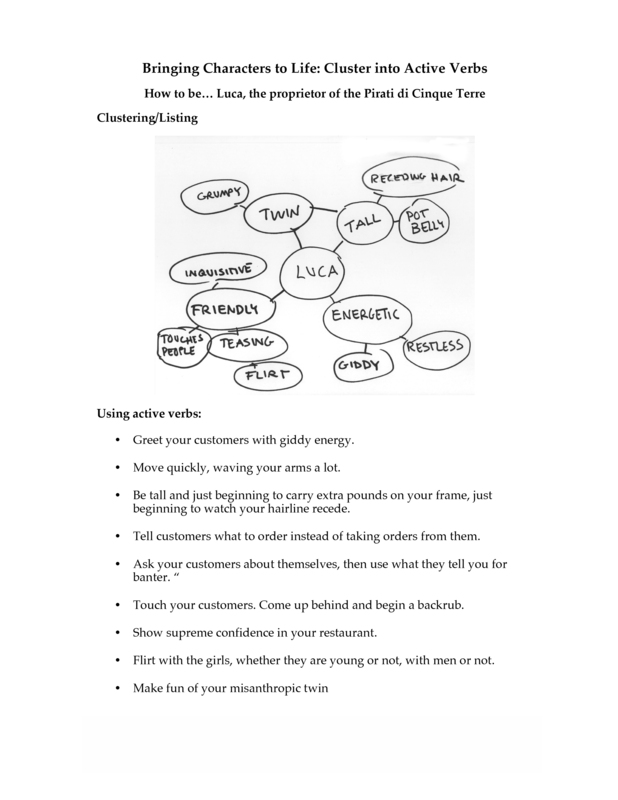 I like to combine this with the brainstorming technique of clustering (some call it mindmapping) to first get some ideas on the page, then turn them into Rainer’s “stage directions” for portraying that character. Here is an example, describing an entertaining restaurant owner I met in Vernazza, Italy. Pick a character who will appear in your memoir and have a go at this technique–I think you’ll find it challenging but fun. If you want to deepen your skill as a writer of memoir, autobiography, biography, creative nonfiction–even fiction!–get yourself a copy of Your Life as Story and get started on what I think you’ll find a satisfying long term relationship with Tristine Rainer’s writing advice. Thanks for the “heads-up” on Tristin Rainer’s book. It sounds like a book I could use as I re-write my memoir. I love using “clustering” but I haven’t used it for my characters, but will now.